Which came first – the reputation or the brand? A colleague of mine, Trevor Lever, made an interesting point in a recent post that got me thinking (Trevor talks a lot of sense, and always comes at things from a refreshingly unexpected angle). He made a distinction between a reputation and a brand, and suggested the one preceded the other. If you follow his reasoning it opens a veritable can of worms – one that challenges an assumption which the design and branding fraternity holds dear (largely because it gives them a licence to print money!). If you run a small business and want to save yourself a small fortune, read on. Brand. It has become one of those flexi-words that means so many different things, to so many different people, that it actually means nothing at all. Through over-use, mis-use and sheer ab-use it has become hopelessly loose and sloppy – a lay-zee, com-fee, one-size-fits-all word, much beloved by the person whose mouth works better than their brain. What does the word “brand” really mean, and where does it come from? For centuries it meant nothing more than “a mark” – something you branded into the hide of your cattle to make them harder to lose or steal. And in Roman times potters put a thumb print or simple mark in the wet clay to identify their wares. Way back in the Middle Ages you generally bought most of your products direct from the local manufacturer. This individual was probably personally known to you – the local village butcher, baker and candlestick maker. But then came the industrial revolution and mass production. This created local surpluses which, thanks to the new canals and railways, could be distributed to people in the cities. Producers and customers no longer knew each other personally and therefore needed a means of differentiating and identifying the wares in question. Products therefore came to be marked, so that consumers could recognise the one they had bought before, and liked. A good example is Bass Pale Ale. The brewery was founded in 1777, one of the first to be established in Burton-on-Trent. Notice the name of the town – it’s on a river. So? So the bottles could be distributed in relatively large quantities by barge. It’s no co-incidence that the Trent and Mersey Canal, running straight through the town, was also opened that very same year. The beer soon became popular far and wide. This was partly because Burton was in the centre of the country, with great transport links (a railway line opened in 1839). But it was also because it tasted great, thanks to the quality of water from the local boreholes. These two factors encouraged others to set up breweries in the small town – there were 30 operating here by the mid 19th century. Bass Pale Ale had now become the UK’s biggest selling beer, exported throughout the British Empire and across Europe. And they obviously needed to mark the bottles. Keeping it nice and simple they just stuck a red triangle on the label, which some years later, in 1875, became the UK’s first registered trademark. Can you spot it in the Manet below, painted in 1882? There are countless other examples of products that created a great reputation for quality, then came up with a mark later, to differentiate themselves from inferior products. In the 17th and 18th centuries, when the volume manufacture of fine porcelain, furniture and tapestries began in France and Belgium (largely because of royal patronage) factories increasingly used marks to indicate quality and origin. At the same time, laws relating to the hallmarking of gold and silver objects were enforced more rigidly to give the purchaser confidence in the product. So what made the mark valuable was the intrinsic quality and reputation of the product, not the aesthetic features of the mark itself. Remember when Japan (way back in the 50s and 60’s) had a reputation for creating cheap and nasty products? It didn’t matter how much money Sony, Datsun and Honda spent on logo design – everyone knew the quality was inferior (and there was the added fact that these products were “From those wonderful folks who gave you Pearl Harbor”). Sticking a logo on crap wasn’t going to make it any less crap! Now, however, these products are highly regarded. What changed – did they hire cooler designers to devise better brand identities? Or did they create better performing products renowned for reliability, economy and innovation? So, in the natural course of things the reputation comes first, and only when you have that reputation do you need a mark to identify it, and to differentiate it from inferior competitors. Without that reputation the mark, the name, all the itty-bitty stuff that goes into the brand identity guidelines, are just empty gestures, mere decorative froth – they signify nothing if there’s no reputation to give them meaning. 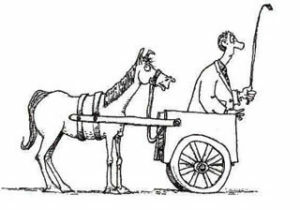 So, putting the brand before the reputation is like putting the cart before the horse – no pulling power. However, the natural course of things goes slow. It takes a lot of hard work, investment and patience to create a truly great product and service. And the process of earning respect, of building a solid reputation one satisfied customer at a time, just takes too damn long in a society where any kind of wait is unacceptable. We’ve got instant everything else, so why not instant brands? That’s where the design agencies and branding consultancies come in. Why grow a brand, laboriously and organically out in the marketplace, when you can have one conjured up in a brand lab within few weeks by some funky folk in Covent Garden, Soho or Clerkenwell? It’s a seductive proposition, especially in a society where most people are more influenced by appearances than substance. That’s why an entire identity manufacturing industry has sprung up to meet the needs of businesses hungry for instant credibility and esteem – every man and his Mac has jumped on the brandwaggon and nobody seems to bother with the horse any more! There’s now an army of marketing consultants and branding gurus who’ll tell you that you simply cannot start trading until you have your values defined, aligned and sorted, your messaging analysed, segmented and pinned down, your identity outlined, formalised and enshrined. And yet every year tens of thousands of people start up small businesses, and succeed, despite ignoring this advice. So what should you do? Sorry folks, time’s up. But go to my next post and you’ll find the answer. Great read Jim - and thanks for following up on my original post with an interesting historical perspective. 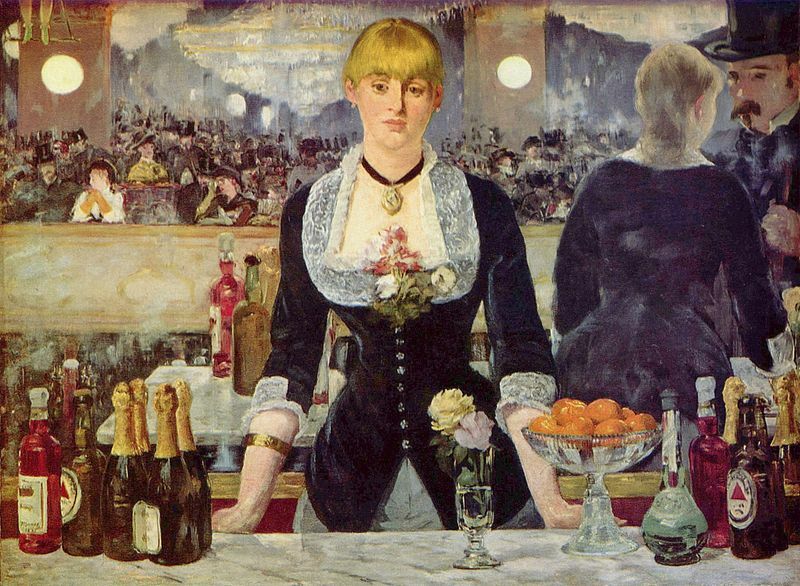 Would the Manet painting that included the Bass bottle and logo count as the first example of 'product placement'? Great article; really interesting read. A few years ago I heard one of the UK's fundraising gurus on this subject and he said something that has stuck in my mind since then - substitute the word 'Brand' for 'Reputation management' and most people suddenly get it!